We go beyond traditional acoustic ceiling installation. Our team specializes in wood ceilings to add the beauty of natural wood to your indoor space. We offer a full line of panels, planks, clouds and canopies that will transform your commercial setting. 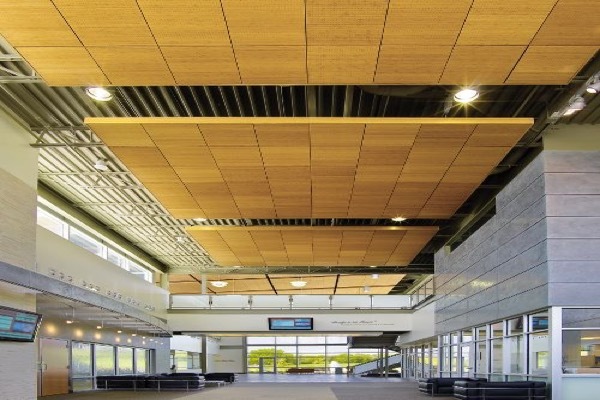 Wood ceilings come in a variety of finishes from real wood to veneers that provide excellent sound performance. You can find our work in all sorts of commercial applications such as hotel lobbies, medical facilities, offices, auditoriums and much more. 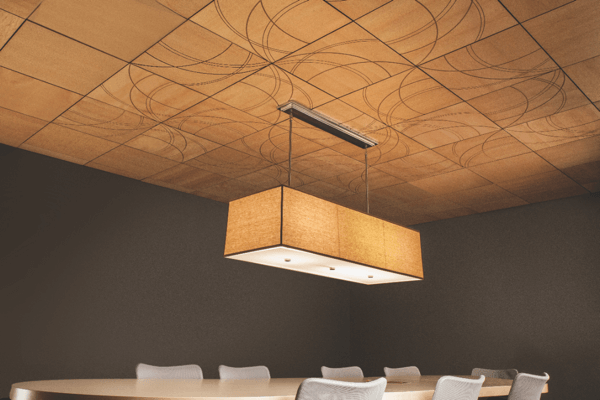 From initial design, product selection, customization and installation, you can count on our team of professional acoustic ceiling installers to bring your ideas to life. We work with architects, contractors and a wide array of commercial building owners to achieve unique solutions for ceilings, exposed structures, and wall applications. Not only will a wood ceiling provide a warm feeling to your room, it will also serve as an excellent solution for noise reduction. 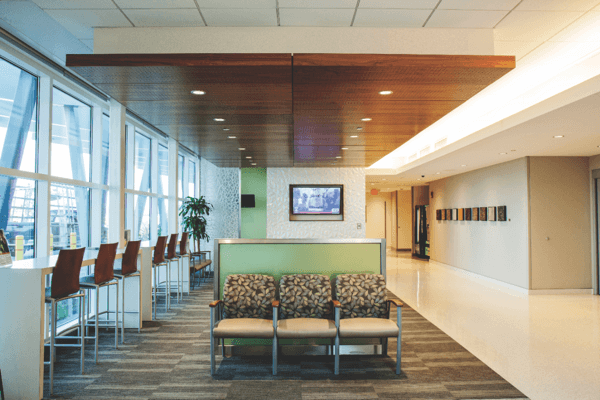 JDS Acoustics installs and repairs wood ceilings for commercial customers throughout Alameda County and the surrounding area: Contra Costa, Santa Clara, Sacramento, San Joaquin, San Francisco, San Mateo, and Solano. Our team works with all types of commercial customers such as hospitals, medical buildings, schools, commercial buildings, offices, restaurants, airports and more. Let's discuss your Wood Ceiling needs today!